If a fraud claim meets these requirements, it may be considered to be fraud by a court. Fraud lawyers can review the facts of the case and advise you whether or not it is actionable in a court of law. Even if you cannot prove all of these elements, if you have been harmed by a shady transaction, it is advisable to consult with a fraud attorney, who can determine whether there might be some other cause of action. If it is not fraud, there may be some other laws that apply, making the case an actionable claim. Consumer fraud protection laws help protect you against a wide variety of scams. Pyramid schemes, false advertising, bait and switch schemes, internet-related fraud, credit card fraud, mortgage fraud, bank fraud, phone company fraud, insurance fraud, advance-fee schemes, and misrepresented prizes or sweepstakes are commonly addressed by fraud lawyers. A fraud attorney can also assist businesses when dealing with counterfeit payments and check fraud. If you’re not familiar with advance-fee schemes, they are also knows as Nigerian letter frauds, or 419 fraud. These types of frauds offer the recipient an ‘opportunity’ to share in a percentage of an amount of money after providing their own financial information for ‘processing’ fees. The FBI has more information on fraud here. The Federal Trade Commission (FTC) takes complaints from consumers concerning consumer fraud and identity theft, and they use the statistics to provide warnings to consumers. If you feel that you have been subjected to fraud or identity theft, but the loss is not significant enough to you warrant hiring a fraud attorney, it is highly recommended that you report your claim to the FTC. Doing so will probably not result in restitution for you, but your report may help the FTC to identify schemes and provide other consumers information that may prevent them from falling for the same scheme. What Does It Cost to Hire a Fraud Lawyer? Some fraud lawyers charge a retainer fee or a flat fee, while others work on contingency, which means that they take a percentage of the award if they win the case. The best way to find out the cost is to consult with a fraud attorney, explain your case, find out whether or not is actionable, and get a quote on the price for representing you and the acceptable terms of payment. Feel free to negotiate with your lawyer for a flat fee so that you know what you are getting into before hiring one. Usually a flat fee can be determined by experienced fraud lawyers who know what to expect from the court system and the defendants. Retainers are usually based on this experience. When subjected to fraudulent activity, you don’t have to settle for being a victim. By hiring a fraud lawyer, you can take action and make the swindler pay for the damage done to you. If you have experienced mortgage fraud, credit card fraud, identity theft, or one of the many types of consumer fraud, seek counsel from fraud lawyers who specialize in fraud protection laws. Identity theft is a form of fraud in which someone pretends to be someone else by assuming that person’s identity. Typically the goal is to access resources or obtain credit and other benefits in that person’s name. The victims of identity theft can be individual or organizations, and the consequences of identity theft can be far-reaching. Americans think nothing of writing their name, phone number or social security number on any form, but it’s an open invitation to an identity thief. Identity theft may be used to facilitate or fund other crimes including illegal immigration, terrorism, and espionage. There are cases of identity cloning to attack payment systems, including online credit card processing and medical insurance. Identity thieves occasionally impersonate others for non-financial reasons—for instance, to receive praise or attention for the victim’s achievements. Thieves can steal your name, address, bank or credit card number, and Social Security number to commit fraud or other crimes. Identity theft victims can have their credit ruined, their bank accounts drained and their retirement benefits stolen. If your credit is destroyed, you might not be able to get a new job, a loan, a car, or a house. You could even be arrested for crimes you didn’t commit. If you have been a victim of identity theft, it’s important to contact an attorney who can help you get your identity and your life back. Thieves can steal information from your employer, or by rummaging through your trash. Some more sophisticated methods include posing as a landlord or employer to get a copy of your credit report, or stealing credit and debit card numbers as your card is being processed. Sometimes an identity thief can strike even if you’ve been very careful about keeping your personal information to yourself. If you suspect that your personal information has been hijacked and misappropriated to commit fraud or theft, take action immediately, and keep a record of your conversations and correspondence. Exactly which steps you should take to protect yourself depends on your circumstances and how your identity has been misused. However, three basic actions are appropriate in almost every case. Contact the fraud departments of each of the three major credit bureaus. Tell them that you’re an identity theft victim. Request that a “fraud alert” be placed in your file, as well as a victim’s statement asking that creditors call you before opening any new accounts or changing your existing accounts. This can help prevent an identity thief from opening additional accounts in your name. At the same time, order copies of your credit reports from the credit bureaus. Credit bureaus must give you a free copy of your report if your report is inaccurate because of fraud, and you request it in writing. Review your reports carefully to make sure no additional fraudulent accounts have been opened in your name or unauthorized changes made to your existing accounts. Also, check the section of your report that lists “inquiries.” Where “inquiries” appear from the company(s) that opened the fraudulent account(s), request that these “inquiries” be removed from your report. In a few months, order new copies of your reports to verify your corrections and changes, and to make sure no new fraudulent activity has occurred. Contact the creditors for any accounts that have been tampered with or opened fraudulently. Creditors can include credit card companies, phone companies and other utilities, and banks and other lenders. Ask to speak with someone in the security or fraud department of each creditor, and follow up with a letter. It’s particularly important to notify credit card companies in writing because that’s the consumer protection procedure the law spells out for resolving errors on credit card billing statements. Immediately close accounts that have been tampered with and open new ones with new Personal Identification Numbers (PINs) and passwords. File a report with your local police or the police in the community where the identity theft took place. Get a copy of the police report in case the bank, credit card company or others need proof of the crime. Even if the police can’t catch the identity thief in your case, having a copy of the police report can help you when dealing with creditors. Contact an experienced attorney to represent your interests until your money has been recovered, your credit has been restored, and you have your identity back. 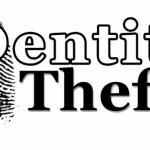 Contact LegalHelpLawyers.com today and start getting legal help with identity theft immediately!